The ultimate vision of the Semantic Web (SW) is to offer an interoperable and information-rich web environment that will allow users to safely delegate complex actions to intelligent agents. Much work has been done for agents’ interoperability; a plethora of proposals and standards for ontology-based metadata and rule-based reasoning are already widely used. Nevertheless, the SW proof layer has been neglected so far, although it is vital for SW agents and human users to understand how a result came about, in order to increase the trust in the interchanged information. 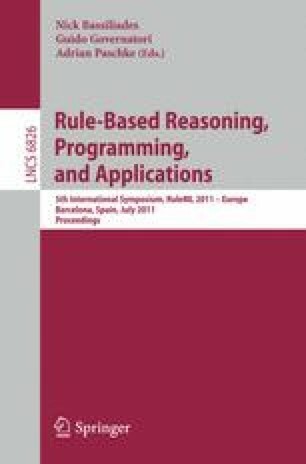 This paper focuses on the implementation of third party SW reasoning and proofing services wrapped as agents in a multi-agent framework. This way, agents can exchange and justify their arguments without the need to conform to a common rule paradigm. Via external reasoning and proofing services, the receiving agent can grasp the semantics of the received rule set and check the validity of the inferred results.